The Office of the Under Secretary of Defense for Research and Engineering’s Strategic Capabilities Office, with Air Force Miniature Air Launch Decoy Program Office, and Naval Air Warfare Center Point Mugu, Calif., successfully completed a series of free flight demonstrations of the MALD-X on Aug. 20 and 22. 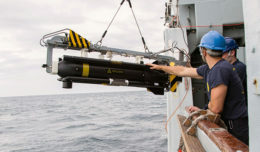 This innovative and collaborative project builds upon the successful MALD platform and seeks to demonstrate the operational effectiveness and tactical advantage provided by large numbers of collaborative, expendable platforms highlighted with the completion of a complex free flight demonstration of advanced electronic warfare techniques. MALD-X’s modularity allows the Navy to rapidly inject adaptive payloads and capabilities into as yet unknown future mission sets. 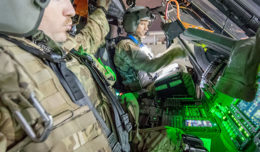 “MALD-X gives future war fighters the ability to focus on the nature of the emerging threats rather than being encumbered by the burden associated with making a system interact with mission elements and mission supporting actions,” said Matthew O’Connell, MALD-X Program Manager. The MALD-X program is continuing to pursue multiple enhancements for the vehicle that would provide additional mission sets that will be demonstrated next year.